We are back yet again with another installment of wonderful technology deals. If you are in the market to introduce some wonderful new technology into your life, or just want to see what’s available at a reduced price point, then we have the deals for you. As always, check them out and act quickly to make sure you get those savings. Starting off, we have the Apple AirPods hardware, and while there’s no discount available, unlike Apple’s stores, the item is in stock and available right away from here. Next up we have is a portable battery power bank with an AC outlet to let you charge more than just your standard mobile devices for only $70. 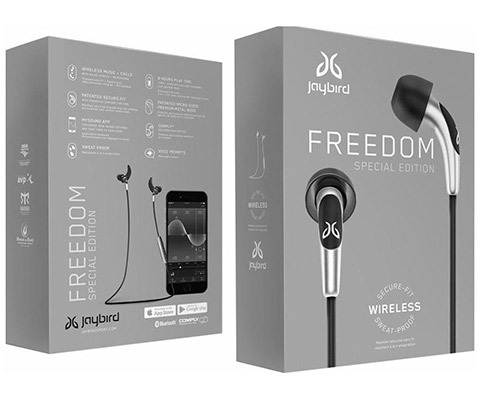 There’s also the Jaybird Freedom F5 wireless earbuds available with a massive $100 discount. 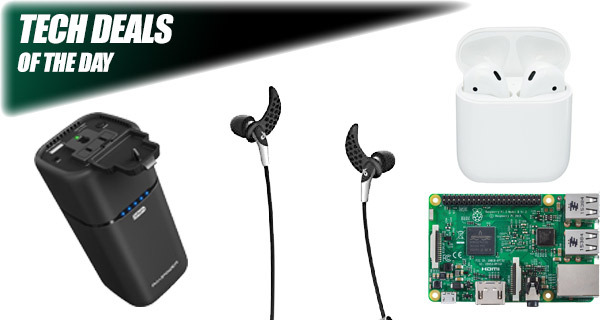 Last but not the least, the Raspberry Pi 3 starter kit can be yours for $66. As always, make sure you act quickly to grab the product of your choice from the list here as these deals are usually time sensitive and subject to stock levels. Enjoy the savings! 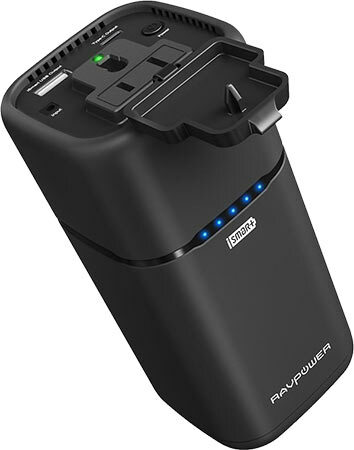 If you find yourself regularly using power for your power-hungry devices, such as mobile printers, powerful drones, or even your MacBook, then this RAVPower portable power bank battery is the only thing that you need to take with you. It comes with an internal 20,100mAh battery that is capable of getting your MacBook up to 100% and beyond, or even charging one of Apple’s iPhone 7 handsets a whopping 6 times. You can grab it for a mere $70 using the following promo code at checkout: CQHTM4CA. This special edition Jaybird Freedom headphones are all you really need if you are looking for something lightweight, ultra-portable, and capable of delivering high-quality audio with minimal fuss. No longer do you need to be caught up with tangled headphones and the mess that comes with that. Simply pair these with your mobile device, get that music pumping, and you’re good to go. If you have been in the mood to get involved in some hardware tinkering but really had no idea where to start, then this Raspberry Pi 3 starter kit is probably where you need to be looking. 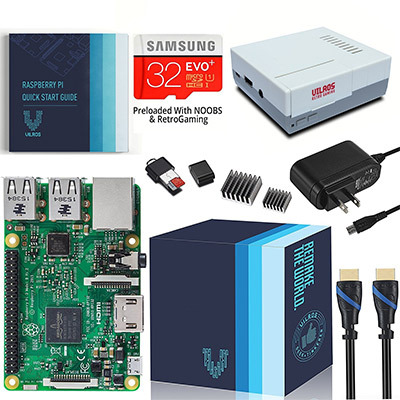 It comes with everything that you need to get started including a retro-styled gaming case which will make your creation look like an old-school Nintendo Entertainment System. The perfect little kit for your hardware needs. Even better, use the following promo code at checkout to grab the complete kit for just $66: 45YOCHIQ. We may not be able to offer any blistering price-savings here on AirPods but at least we can offer immediate availability although this won’t last for long so you got to hurry. 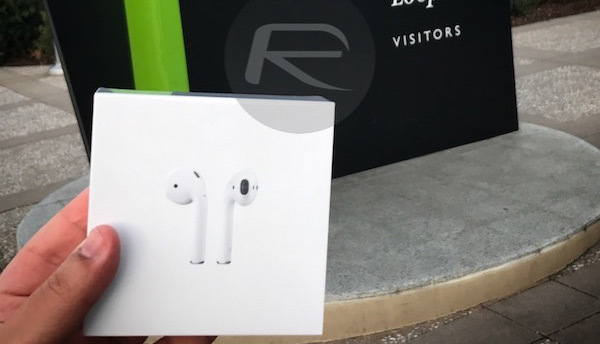 This is an opportunity to get your hands on Apple’s wonderful truly-wireless earphones which have genuinely started the wireless revolution where personal audio is concerned. They come with Apple’s own W1 chip, an accompanying carrying case with built-in battery, and up to 5 hours of listening time. If you have a fully charge carrying case with you, then you can extend that time up to 24-hours.